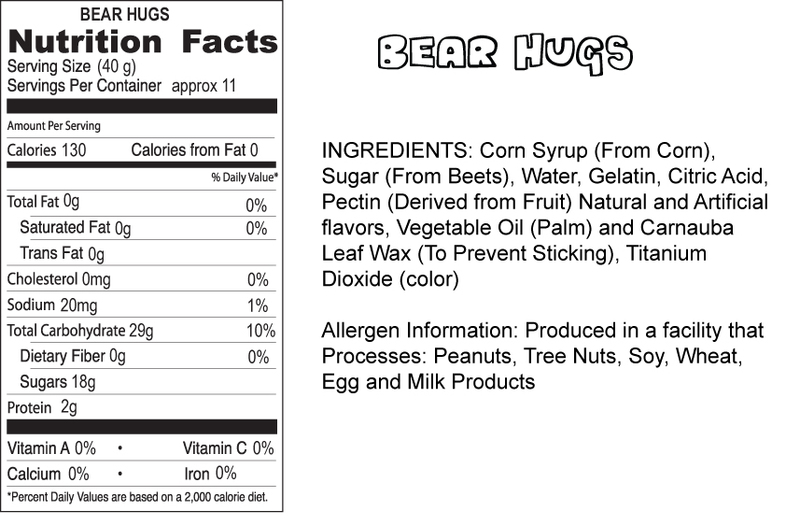 Being hugged by a real bear can be risky. Better to take the safe, sweet route with these kind of BEAR HUGS. Gummies with perfect pairing of banana and strawberry flavors. Hugs all around.